BTG SPECIAL: What is the Eynes Anthology? A show where a couple of Nerds do their best at Bridging all the Geekdoms together as they talk Movies, Television, Video games, Comics, and so much more. Star Wars The Last Jedi.... One Year Later. Can Disney Break $5 Billion with Five Movies Next Year? Stan "The Man" Lee........ Excelsior! What is to Come of Earth's Mightiest Heroes in Avengers 4? SDCC 2018 Reaction: HOLY SCHNIKEYS! How can DC Fix their Film Universe? Hey Geeks! On this quick review Robert talks about the pilot episode of Kevin Smith's new show, Hollyweed. If you want to check it out go to rivittv.com Thanks for listening and fear not as we will be back with a full show next Tuesday! Is Disney looking to boot Kathy Kennedy from Lucasfilm!? Whats the Geek!? : Michael Meyers is Back! Bridging the Geekdoms VOLUME 2: Music and Film ISSUE 2: Emotion Robert is solo in this installment of Music in Film as he discusses how music is used to Emotionally grab the audience to enhance the movie going experience. Thanks for listening and please find us in all of the social media places. Just search Bridging the Geekdoms. Geek News: DCEU No More !?!?!?!?! Bridging the GeekdomsStar Wars SpecialSolo: A Star Wars Story Review On this week’s Geektastic episode of Bridging the Geekdoms we discuss Deadpool 2, Mom and Dad, the Arrowverse, and the new mobile game Dragon Ball Legends. We then punch it into hyperdrive as we make our way to aA Galaxy Far Far Aweay and give our Non-Spoiler then Spoiler Review of the newest Lucasfilm movie, Solo: A Star Wars Story *Hint* It's pretty darn good...you should go see it! Next week we will be back and continuing our musical journey through film music! Thanks for listening and sticking with us. Make sure you follow us on all the social media places (linked below) Next week we start our Musical Journey covering Music and Film: Emotion. Twitter –BridgeGeedoms Facebook - https://www.facebook.com/groups/BridgingtheGeekdoms/ Theme Music - Dubstep BTG - "Music: www.bensound.com"
Bridging the GeekdomsVolume 2: Music and FilmIssue 1: Atmosphere On this week’s Geektastic episode of Bridging the Geekdoms we discuss the rollercoaster of emotions Robert had from the FOXTV renewals and cancellations, get ready for Deadpool 2 and Solo, then finally dive into the main course FILM MUSIC. Over the next few weeks we will be taking a look at how music effects the Atmosphere, emotion, theme, and psyche of film. Thanks for listening and sticking with us. Make sure you follow us on all the social media places (linked below) Next week we start our Musical Journey covering Music and Film: Emotion. Twitter –BridgeGeedoms Facebook - https://www.facebook.com/groups/BridgingtheGeekdoms/ Theme Music - Dubstep BTG - "Music: www.bensound.com"
Bridging the Geekdoms2018 Summer Movie Preview On this week’s Geektastic episode of Bridging the Geekdoms we discuss all the interesting films (in our opinon) for the summer of 2018. Before that though we talk some Marvel and DC news, Sly Stallone putting back on the headband for Rambo 5, Tenacious D's BIG announcement, as well as Robert's reviews on the new YouTube Red show Cobra Kai and the 2018 film Tomb Raider. Thanks for listening and sticking with us. Make sure you follow us on all the social media places (linked below) and also throw some love and a subscribe to the YouTuber DAGMA at this link - https://www.youtube.com/watch?v=aa342sjXn9A&feature=youtu.beAlso, Will Robert ever find out how to say Sicario, only time will tell............ Maybe next week we'll see! Next week we start our Musical Journey covering Film Scores! 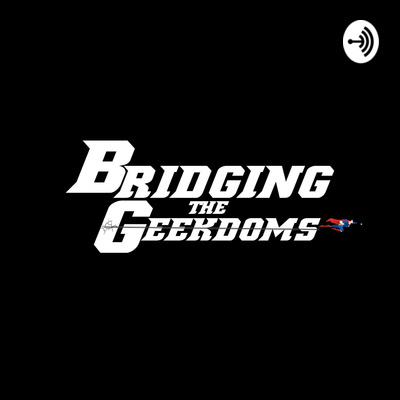 Twitter –BridgeGeedoms Facebook - https://www.facebook.com/groups/BridgingtheGeekdoms/ Theme Music - Dubstep BTG - "Music: www.bensound.com"
Marvel Special II - Avengers: Infinity War Review On this week’s Geektastic episode of Bridging the Geekdoms we bring you a non-spoiler and spoiler filled review of Avengers: Infinity War. But before we jump into all of that we discuss some of the nerdy news around the multiverse such as Wonder Woman 2 news, Arrowverse happenings, The Walking Dead casting news, a new Star Wars cartoon, and so much more! So once again thanks for listening to Bridging the Geekdoms and we look forward to you sticking around! Next week we will finally get into our summer movie previews as this weeks episode was jam packed with Infinity War goodness! Twitter –BridgeGeedoms Facebook - https://www.facebook.com/groups/BridgingtheGeekdoms/ Theme Music - Dubstep BTG - "Music: www.bensound.com"
Marvel Special I - Avengers: Infinity War Hype On this week’s Geektastic episode of Bridging the Geekdoms before diving head first into All things Marvel and Avenger: Infinity War Robert and Colton talk about some of the news of the past week including Deadpool 2, Wonder Woman 2, Jurassic World Fallen Kingdom, God of War, and more. The meat and potatoes of this show is all about Infinity War as the two hosts talk about their favortie and least favorite moments of the past 10 years of the MCU and also predict where things will go starting from the next Avengers film and on. So once again thanks for listening to Bridging the Geekdoms and we look forward to you sticking around! Next week we will be reviewing Avengers: Infinity War as well as doing our Summer Movie Preview! Twitter –BridgeGeedoms Facebook - https://www.facebook.com/groups/BridgingtheGeekdoms/ Theme Music - Dubstep BTG - "Music: www.bensound.com"
Volume 1 - New Beginnings: Issue 3 – T.V. 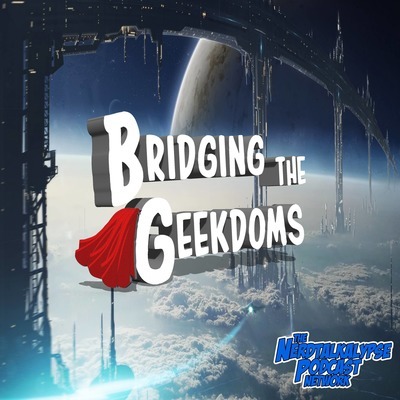 Show Reboots and Revivals On this week’s Geektastic episode of Bridging the Geekdoms Robert talks about the season 8 finale of The Walking Dead (spoilers included), talk is had about some of the entertainment news including Terminator 6, New Mutants, and Jurassic World. Finally Robert and Colton dive into their thoughts on some of the biggest, and in some cases no so big, Television reboots and revivals with Robert really getting into his review of the new Lost in Space show on Netflix. Dead Leap comic link - https://www.facebook.com/DeadLeap/ So once again thanks for listening to Bridging the Geekdoms and we look forward to you sticking around! Next week we will be discussing all things MCU as we Prepare for Avengers: Infinity War Twitter –BridgeGeedoms Facebook - https://www.facebook.com/groups/BridgingtheGeekdoms/ Theme Music - Dubstep BTG - "Music: www.bensound.com"
Volume 1 - New Beginnings: Issue 2 – Reboots and Remakes On this week’s Geektastic episode of Bridging the Geekdoms we review Ready Player One, Blockers, and A Quiet Place. We then dive into some entertainment news talking about who Woody Harrelson plays in the Venom movie, our excitment about the new Solo: A Star Wars Story trailer, Action Comics #1000 and much more. Finally we get into the meat of the episode and talk about all the different film Reboots and Remakes that have come out and what makes them good or bad. Thanks for listening to Bridging the Geekdoms and we look forward to you sticking around! Next week we will be discussing Tv show revivals.. see ya then! Twitter –BridgeGeedoms Facebook - https://www.facebook.com/groups/BridgingtheGeekdoms/ Theme Music - Dubstep BTG - "Music: www.bensound.com"
Volume 1 - New Beginnings: Issue 1 – The Beginning of the End of Fox’s X-men franchise On this week’s Geektastic episode of Bridging the Geekdoms we discuss everyone’s favorite Batman film, Batman & Robin, talk about recasting General Leia, ponder why Fox has pushed back their X-Men films, and continue our Journey to infinity war as we discuss the very underwhelming MCU film Guardians of the Galaxy Vol. 2. Also in this episode we touch on the Roseanne return, Santa Clarita Diet season 2, why people hate Nickelback and Matt Damon being nearly cast in a Marvel film. Thanks for listening to Bridging the Geekdoms and we look forward to you sticking around! Next week we will be discussing film remakes, reboots, retools, or whatever the Hell you want to call them.. see ya then! Twitter –BridgeGeedoms Facebook - https://www.facebook.com/groups/BridgingtheGeekdoms/ Theme Music - Dubstep BTG - "Music: www.bensound.com"
Bridging the Geekdoms: Pacific Rim 2 Review! Come here my little friend don't be afraid. On this solo episode, Robert dives into and unloads his thoughts on all things Star Wars Rebels, from what the show did right, what the show had struggled with, his take on the series finale, and finally his thoughts on where the next Dave Filoni Star Wars cartoon could be headed. So, don't be shy and join him in some good old Star Wars discussion after you are done listening either on the Facebook Group or Twitter. (Links below) Thanks for listening and May the Force Be With You. Twitter: @TheRemoteContrl - https://twitter.com/TheRemoteContrl Facebook: https://www.facebook.com/groups/TheRemoteControlPodcast/ And don't forget to check out our Weekly Show 'The Remote Control Podcast"
TRC: Black Panther + Announcement! Star Wars Talk: Rian Johnson's New Trilogy!? What's happenin' and thank you for tuning in to The DC Show Podcast, a Podcast were A Couple Geeks talk about any and everything DC Comics and DCEU related! 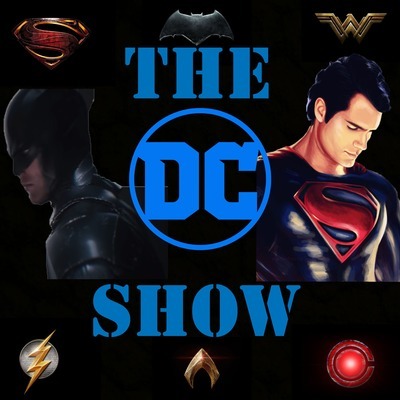 In this pilot episode of our newest show, The DC show, we discuss the four DC movies we have so far in the DCEU. With our residentual DCEU expert, Jonathan Phelan, we review and give our opinions on the movies along with speculate what will happen in the Justice League movie. 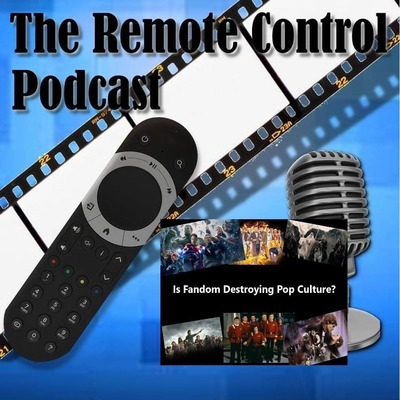 Twitter - @TheRemoteContrl Facebook Group - https://www.facebook.com/groups/190378011081886/ iTunes - https://itunes.apple.com/us/podcast/the-remote-control/id1212136108?mt=2 PodBean - http://theremotecontrol.podbean.com/ COSPLAY CULTURE MAGAZINE CONTEST DETAILS Join the podcasts Facebook Group. Once joined find the link to Crunchems Custom Cosplays, like the page, and share it to your own person page. 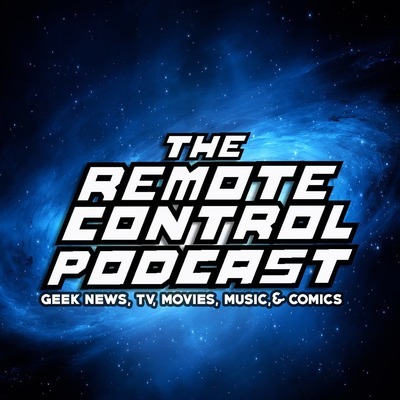 What's happenin' and thank you for tuning in to The Remote Control Podcast, a Podcast were A Couple Nerds Geek out about Movies, TV, Video Games, Music & More. This week we were joined by our good friend, Jonathan Phelan. On this week’s episode we will be talking the CW Arrowverse, everything happening in the DCEU and continue to build up the Justice League hype. With that with also talk about the hype around Ultra INstinct Goku in the newest episode of Dragonball Super. With eveyrything else thats going on, we find time to discuss the newest releases in videogames, and the newest fighters added to injustice 2. For the topic of the episode, everyone discusses what the possiblities could be if Disney strikes a deal with 20th Century Fox. Twitter - @TheRemoteContrl Facebook Group - https://www.facebook.com/groups/190378011081886/ iTunes - https://itunes.apple.com/us/podcast/the-remote-control/id1212136108?mt=2 PodBean - http://theremotecontrol.podbean.com/ COSPLAY CULTURE MAGAZINE CONTEST DETAILS Join the podcasts Facebook Group. Once joined find the link to Crunchems Custom Cosplays, like the page, and share it to your own person page. 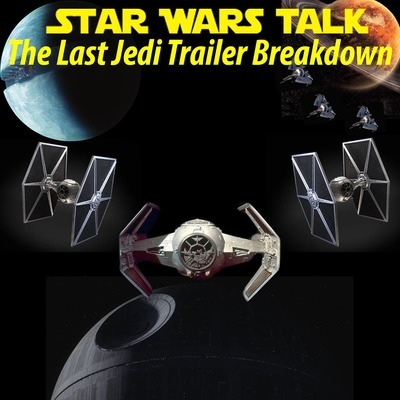 Star Wars Talk: The Last Jedi Prediction Episode! Hello there..... And welcome to The Star Wars Talk Podcast, a podcast in which we travel to a galaxy far, far away, gather round a cantina table, and talk any and everything Star Wars. Rebel Scum! This week we dive into this seasons episodes of Rebels. All while discussing the possibilities of episode eight and giving our predictions of episode eight. We also raise the question, what would have happened if obi-wan would have went to fight the emporer and yoda would have went to fight anakin. www.theremotecntrl.com Twitter - @TheRemoteContrl Facebook Group - https://www.facebook.com/groups/190378011081886/ iTunes - https://itunes.apple.com/us/podcast/the-remote-control/id1212136108?mt=2 PodBean - http://theremotecontrol.podbean.com/ Superman POP FIGURE CONTEST DETAILSSubscribe to us on Podbean or iTunes, Leave a Review of our Show and then JOIN our Facebook Group. We will then randomly select a winner on our November 14th 2017 Podcast who will get a Justice League Superman Funko Pop figure! What's cracka lackin and thank you for tuning in to The Remote Control Podcast, a Podcast were A Couple Nerds Geek out about Movies, TV, Video Games, Music & More. This week we were joined by our good friend, Donald Booth from Crunchems Custom Cosplays. On this week’s episode we will be talking the CW Arrowverse, everything happening in the DCEU and continue to build up the Justice League hype. With that with also start a new segment in which we discuss the newest Dragonball Super episodes. Along with Dragonball Z, we also discuss whats new in the videogame world. For the topic of the episode, Robert and Colton discuss and review Marvels newest film, Thor Ragnarok. Twitter - @TheRemoteContrl Facebook Group - https://www.facebook.com/groups/190378011081886/ iTunes - https://itunes.apple.com/us/podcast/the-remote-control/id1212136108?mt=2 PodBean - http://theremotecontrol.podbean.com/ Crunchem's Custom Cosplays - https://www.facebook.com/crunchumscustomcosplay/ Superman POP FIGURE CONTEST DETAILS Subscribe to us on Podbean or iTunes, Leave a Review of our Show and then JOIN our Facebook Group. We will then randomly select a winner on our November 14th 2017 Podcast who will get a Justice League Superman Funko Pop figure! What's cracka lackin and thank you for tuning in to The Remote Control Podcast, a Podcast were A Couple Nerds Geek out about Movies, TV, Video Games, Music & More. On this week’s episode we will be talking the CW Arrowverse, everything happening in the DCEU and our plans on the build up the Justice League release. With that with also discuss this weeks walking dead episode and our thoughts on it. For the meat and potatoes of the episode, Robert does an episode by episode breakdown and review of Strager Things season 2. 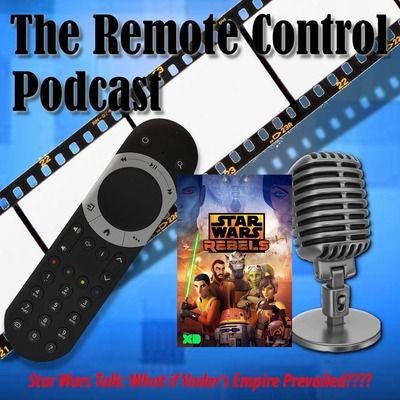 Twitter - @TheRemoteContrl Facebook Group - https://www.facebook.com/groups/190378011081886/ iTunes - https://itunes.apple.com/us/podcast/the-remote-control/id1212136108?mt=2 PodBean - http://theremotecontrol.podbean.com/ Superman POP FIGURE CONTEST DETAILS Subscribe to us on Podbean or iTunes, Leave a Review of our Show and then JOIN our Facebook Group. We will then randomly select a winner on our November 14th 2017 Podcast who will get a Justice League Superman Funko Pop figure! "It's time to nut up or shut up"On this SPECIAL Halloween episode Colton and Robert break down their TOP 10 Favorite Horror-Comedy films. So listen in and then let us know what some of your favorite Horror-comedy films are at one of the following links! 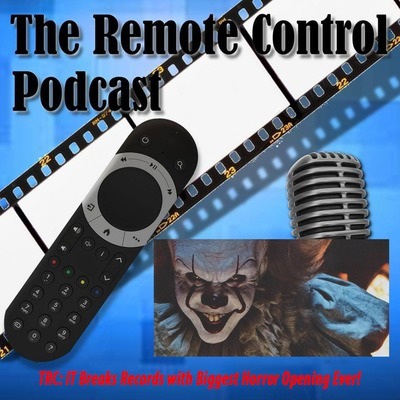 Twitter - @TheRemoteContrl Facebook Group - https://www.facebook.com/groups/190378011081886/ iTunes - https://itunes.apple.com/us/podcast/the-remote-control/id1212136108?mt=2 PodBean - http://theremotecontrol.podbean.com/ Superman POP FIGURE CONTEST DETAILS Subscribe to us on Podbean or iTunes, Leave a Review of our Show and then JOIN our Facebook Group. We will then randomly select a winner on our November 14th 2017 Podcast who will get a Justice League Superman Funko Pop figure! TRC: Halloween Special - Our Top Ten Horror Films! Hopefully you have your shittin pants on as we discuss our TOP TEN Favorite Horror Films on this Halloween Special of The Remote Control Podcast. Make sure to check back this weekend when we discuss our Top Ten Favorite Horror Comedies too! Twitter - @TheRemoteContrl Facebook Group - https://www.facebook.com/groups/190378011081886/ iTunes - https://itunes.apple.com/us/podcast/the-remote-control/id1212136108?mt=2 PodBean - http://theremotecontrol.podbean.com/ Superman POP FIGURE CONTEST DETAILS Don't forget about our contest! Subscribe to us on Podbean or iTunes, Leave a Review of our Show and then JOIN our Facebook Group. We will then randomly select a winner on our November 14th 2017 Podcast who will get a Justice League Superman Funko Pop figure! What’s going on everyone and thank you for tuning in to The Remote Control Podcast, a Podcast were A Couple Nerds Geek out about Movies, TV, Video Games, Music & More. On this week’s episode we will be talking the CW Arrowverse, we review the first episode of The Walking Dead season eight, along with talk about the upcoming Thor: Ragnorak. Along with those few things, we also discus the upcoming Justice League and Avengers 3. 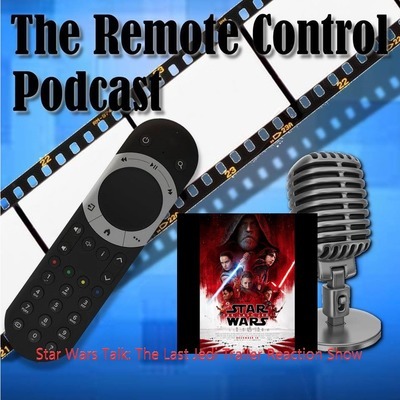 Twitter - @TheRemoteContrl Facebook Group - https://www.facebook.com/groups/190378011081886/ iTunes - https://itunes.apple.com/us/podcast/the-remote-control/id1212136108?mt=2 PodBean - http://theremotecontrol.podbean.com/ Superman POP FIGURE CONTEST DETAILS Subscribe to us on Podbean or iTunes, Leave a Review of our Show and then JOIN our Facebook Group. We will then randomly select a winner on our November 14th 2017 Podcast who will get a Justice League Superman Funko Pop figure! Hey there everyone, greetings from your host Colton. This week had a little bit of a disaster, but just like the first death star's destruction we pulled it together and built it again. With returning guest, he who shall not be named, comes to give us an economic leason and shows us how much credits are worth. Along with maths, we also talk about Rebels season 4, and the disasterpiece that is the Han Solo Film. With the release of The Last Jedi around the corner, we take a closer look at the trailer play-by-play to give an indepth look at all the secrets it may hold. www.theremotecntrl.com Twitter - @TheRemoteContrl Facebook Group - https://www.facebook.com/groups/190378011081886/ iTunes - https://itunes.apple.com/us/podcast/the-remote-control/id1212136108?mt=2 PodBean - http://theremotecontrol.podbean.com/ Superman POP FIGURE CONTEST DETAILSSubscribe to us on Podbean or iTunes, Leave a Review of our Show and then JOIN our Facebook Group. We will then randomly select a winner on our November 14th 2017 Podcast who will get a Justice League Superman Funko Pop figure! TRC: How Important is Source Material When it Comes to Comic Book Films? What’s going on everyone and thank you for tuning in to The Remote Control Podcast, a Podcast were A Couple Nerds Geek out about Movies, TV, Video Games, Music & More. **Before you readon I'd like to apologize for our last upload of this episode. 30 miutes was cut from it but we have rectified that and this is the entire episode. Thanks for listening! ** On this week’s episode we will be talking the CW Arrowverse, saying goodbye to the show Halt and Catch Fire heading to a galaxy far far away with the new trailer for The Last Jedi and then finally getting into the heart of this episode by asking if Comic Book source Material really matters when it comes to Film adaptations. www.theremotecntrl.com Twitter - @TheRemoteContrl Facebook Group - https://www.facebook.com/groups/190378011081886/ iTunes - https://itunes.apple.com/us/podcast/the-remote-control/id1212136108?mt=2 PodBean - http://theremotecontrol.podbean.com/ Superman POP FIGURE CONTEST DETAILS Subscribe to us on Podbean or iTunes, Leave a Review of our Show and then JOIN our Facebook Group. We will then randomly select a winner on our November 14th 2017 Podcast who will get a Justice League Superman Funko Pop figure! TRC: We are ALL IN with the New Justice League Trailer! Star Wars Talk: What if Vader's Empire Prevailed???? TRC: Will The DCEU End After Justice League? Star Wars Talk: The Last Jedi Has Finished Production! TRC: There's a Crisis on Earth-X! 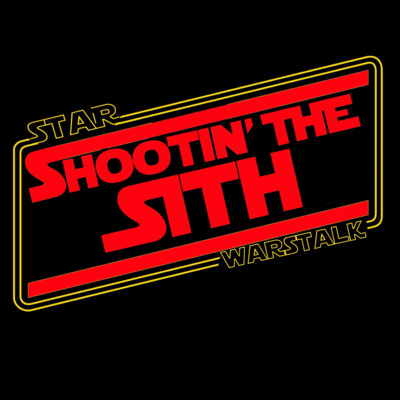 Star Wars Talk: Episode 9 Finds a New Writer & Director! What is Going on with WB & the DCEU? Star Wars Talk: Kylo Ren, the Chosen One? TRC: Do You Want a Stephen King Cinematic Multiverse? TRC: What if Luke Joined Darth Vader in The Empire Strikes Back? Star Wars Talk: What was Revealed at D23? Since D23 was this past weekend we decided to give our Top Ten Disney films of all time. We also dive into some of the news surrounding the casting of Aladdin, The Interview With the Vampire and more! Remember you can find us and all of ur other Shows on iTunes, Podbean, Google Play Music and at www.theremotecntrl.com Please leave some feedback, let us know what you love, what you hate and what you want to hear more of.